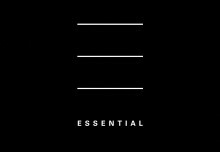 Institute Without Boundaries > Uncategorized > The Good Company! IwB Grad James Young starts entrepreneurial space in Yellowknife! James Young, of the 2014-15 IwB class, has been in Yellowknife since graduation working with a local team on several projects including launching a new co-working space set to open in downtown Yellowknife. The Good Company Co-Working and Innovation Centre is set to launch in April and be housed in the old Union of Northern Workers building on 52 Street. It will be Yellowknife’s first shared workspace and will offer flexible membership packages to users, and other perks like special workshops. Stay tuned on news about the Good Company! Better yet join the Facebook page! All text references courtesy of the Edge. 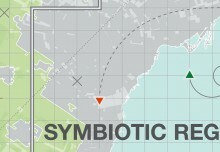 Symbiotic Cities the IwB 2016/17 Project! 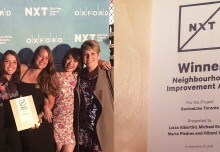 IwB alumni win NXT City Prize! IwB in Toronto Impact Report! Balancing Continuity and Change – IwB International Charrette! 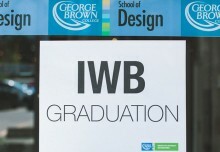 Founded in 2003, the Institute without Boundaries (IwB) at George Brown College is a Toronto-based educational program and studio that works towards collaborative design action and seeks to achieve social, ecological and economic innovation.